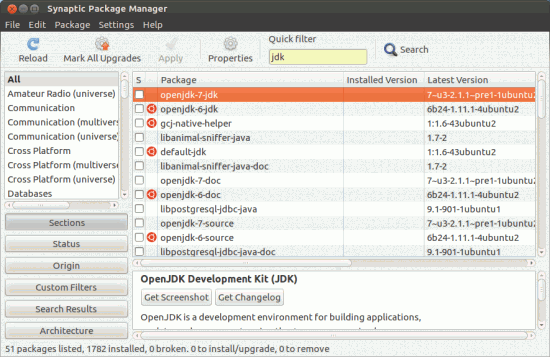 Although, it will be remain installed on the systems but no security updates will be provided in future so the ubuntu users who are dependent on Sun JDK or any of this component are recommend to migrate to OpenJDK or Oracle JDK if you get any problem with open JDK in some applications. Java is one of the most popular programming language and its popularity has undergone an exponential growth (probably because it’s well suitable in distributed environment – you can use Java to develop cool web application with a lot of complex features as well as in developing sophisticated desktop applications, and it’s platform independent – ‘write once and run everywhere‘) in fast few years. Similarly Ubuntu (latest version : Ubuntu 11.10 beta 1) has become the most popular Linux distro – for desktop environment. That’s why, Ubuntu is now considered as a great platform for developing Java applications. 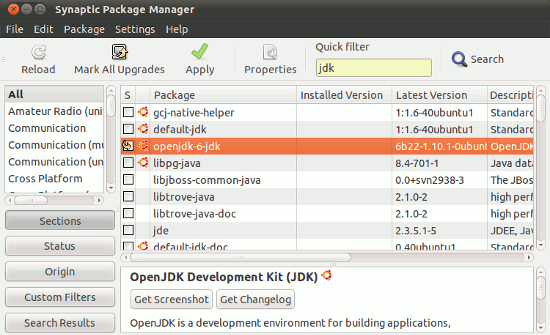 Anyway, if you are an Ubuntu user and going to start learning Java or a java programmer/developer – want to start coding on Ubuntu, this post is about installing Java Development Kit (JDK) on Ubuntu 11.10 (although it is expected to work on other Debian based Linux distro too). On the other hand if you’re an Ubuntu user, interested only in running java applications then you don’t need to install jdk (it has lot of components which is not required for executing a java program/software) – instead you just need to install jre on Ubuntu 11.10 i.e java runtime environment (includes Java Virtual Machine, for executing java bytecode/class). There’re many JDK available thesedays. One of the most popular – open source jdk is openjdk. OpenJDK is well compatible with Ubuntu/Linux and it is available in official repository – so you can install it a click. Update1 : The sun jdk isn’t included with the official repository, so you first need to add a PPA for that; Thanks to Casier :). That’s All..have fun in programming in Java, with Ubuntu!